Do you sometimes feel a bit…evil? Would you like to pop a fly in someone’s soup? How about sneak a pebble in to someone’s shoe? Do you struggle against the urge to steal candy from children? And is your favourite garment a cape that goes “swoosh”? Then you can’t do things by ordinary standards! Square ice cubes? We didn’t think so! 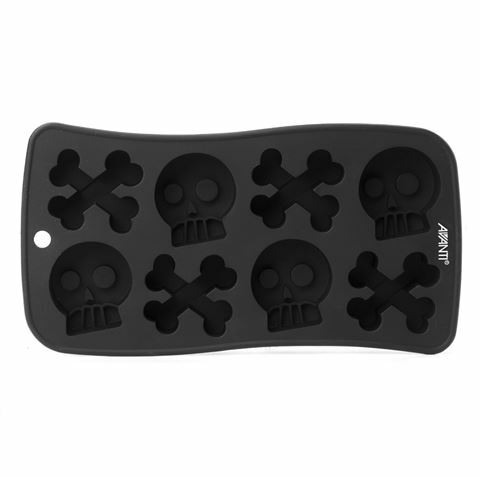 You’ll look so much more evil when you make your ice using this Skull & Crossbones Ice Tray. Now you can feel free to cackle manically as you swirl your glass of tomato juice (even though you’ve convinced everyone that it’s something else) in one hand and stroke your black cat with another. “Ice” might appear in “nice”, but there’s nothing pleasant about this ice tray! Except that it’s made of silicone. Which makes the frozen skulls easier to pop out. That’s kind of good. Flexible silicone makes it easier to pop out your novelty ice cubes. 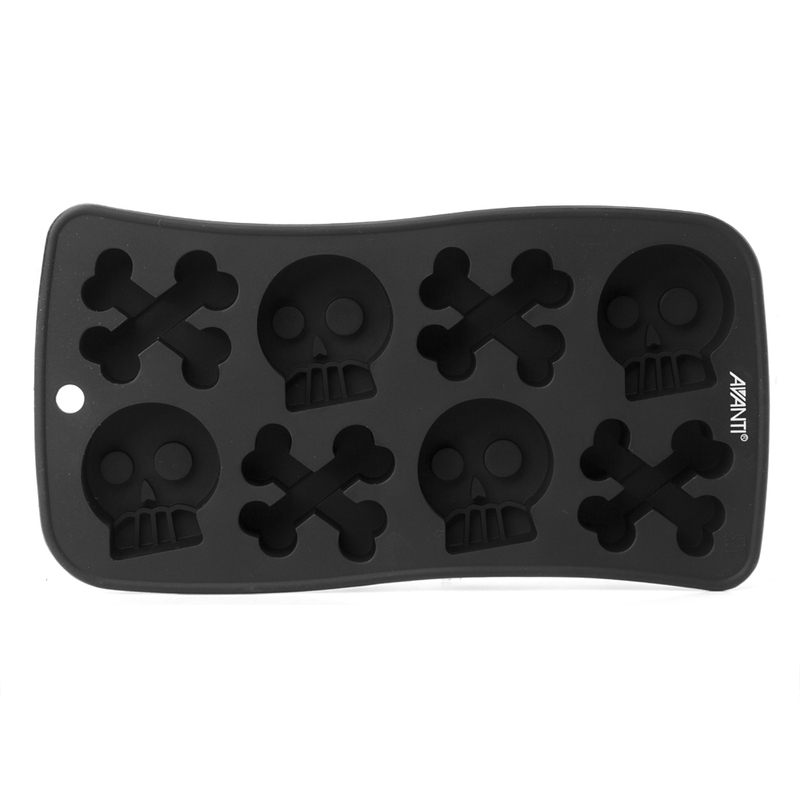 Can also be used as a chocolate mould. Makes approximately eight 5cm ice cubes. Tray Dimensions: 21 x 10.5cm.